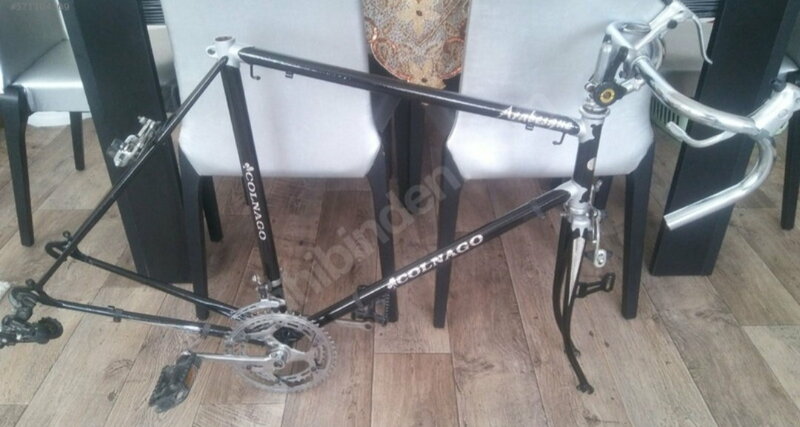 Is this a real Colnago Arabesque? 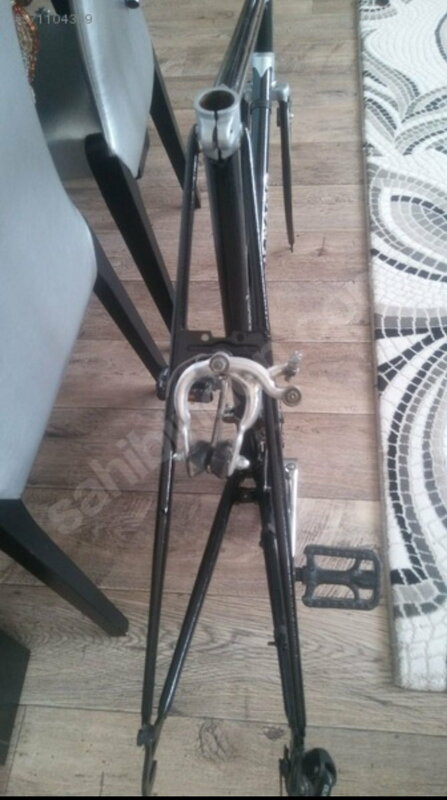 The seller says it is an original Arabesque frame, I am not so sure, at least I know the rest is nothing, but can you please guide me - if it is a Colnago I want to buy. The seller asks 100 Euros for all. No, it's not a Colnago Arabesque by any extent of the imagination. 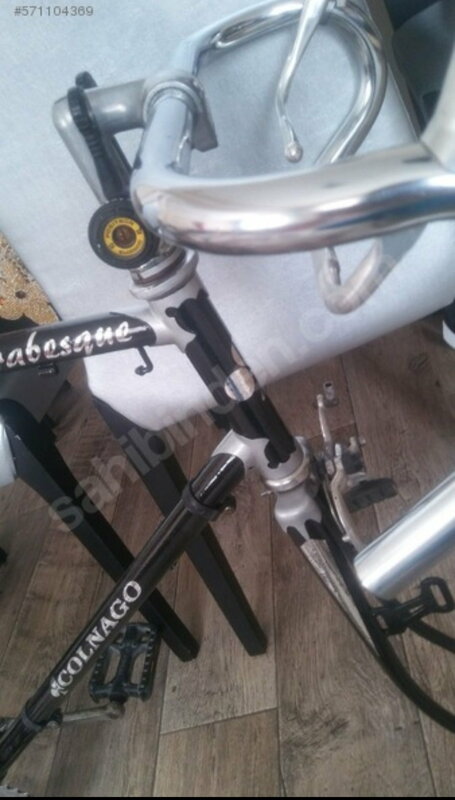 This a a cheap, hi-tensile steel frame with stamped dropouts and plate seat stay bridge. This would be worth ~$20, in it's current state. No, its a cheapo frame. Look at the rear brake bridge, stamped steel. Lugs wrong, fork wrong. If it were real, it would not be available for 100 euro. T-Mar beat me to it. Those that want something for nothing tend to get the opposite. It's a Colnago "movie bike"
You couldn't buy a stolen one for that. That is really weird looking stuff. With that cottered crank & strange lugs it must be very old. Like 70's vintage. What a mess! A bunch of mis-matched parts all bolted together. I wouldn't be interested. Not even for something to play with. Try to get them down to about $30 bucks. It's a parts bike. OK, not even close, even the Colnago graphics are imatations. There is plenty of reference material on Colnagos. Hide your wallet and get familiar with vintage bikes before spending, or even looking to purchase. Tragedy will be avereted. 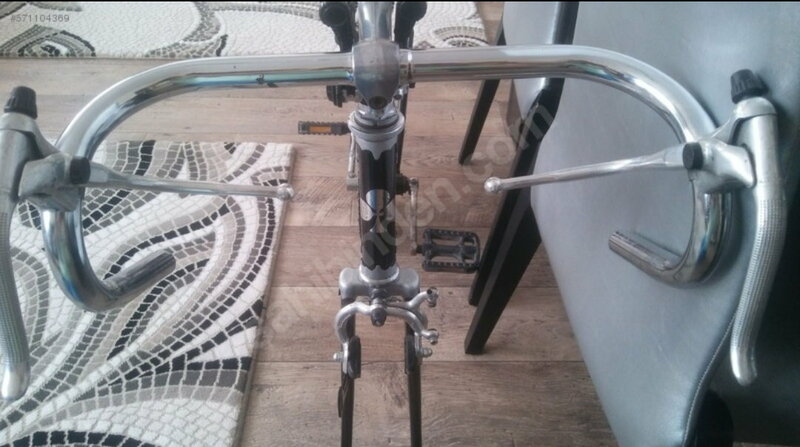 The frame looks to be a ear;y 70,s just ok utiiity 3 or five speed Botechia or Boca built bike. Note the low end plates light tabs and fancy lugs which all but scream Italian low end junk. 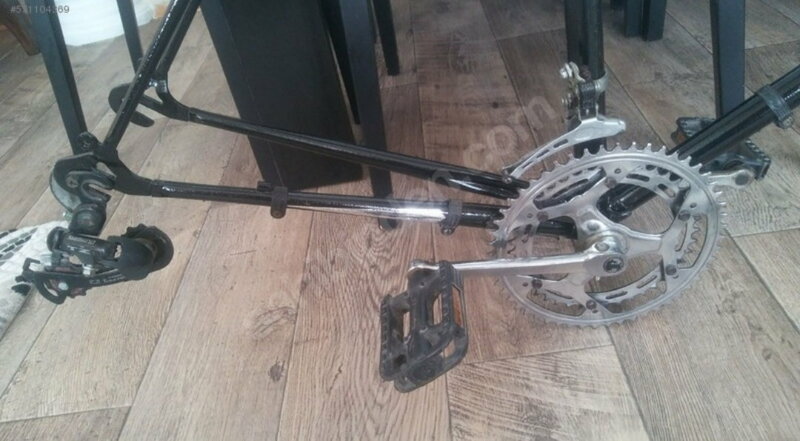 As presented likely bent out of true frame with crap paint and components and no wheels not working I would place the value at basically nothing I would likely pass on this one even if offered for free. Last edited by zukahn1; 03-22-19 at 07:24 PM. The chrome work looks awfully dull on that bike. Judging by the decals yes. The rest of it, not so much. Stem Shifter Alert! Never a good sign.